What if a Pumpkin Latte and an Cafe Royale had a baby... It would be the most delicious seasonal beverage you ever did taste! A dessert and a boozy beverage all wrapped into one. 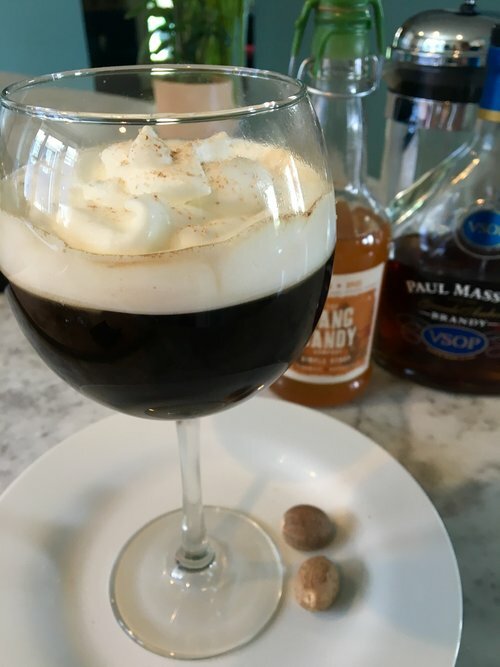 In a long stemmed glass or any other respectable vessel add the syrup and the brandy and the hot coffee, gently pour the lightly whipped cream over the back of a spoon onto the top Grate a little nutmeg to garnish and serve!